I highly recommend this machine for anyone who is looking for a bit of a workhorse that will sew through layers like a champ! This baby is so affordable, I may buy another one just to keep at my shop. Categories: Product Reviews, Quilting | Tags: bag making supplies, Quilting, sewing, sewing machine review | Permalink. Welcome to BrewStitched version of a Fat Quarter Monthly Club aka Mini Stash Club. No long term commitments, pricing is very affordable, new colors and selections each month, on trend, and the added bonus….Aurifil Thread in the color of the month. Let’s be real..most of us have a pretty healthy stash and have a hard time justifying one more fabric purchase, but with the Mini Stash Club by BrewStitched those objections can be thrown out the window. 5 fat quarters in the monthly color theme AND 1 spool of 50 weight 220 meters of Aurifil thread in a complimentary color. Each month (on the 5th) you will be shown a preview for that months stash. As a monthly stash club member you will receive the notification early via email and you can let me know then if you’d like that months stash sent to you on the 15th. Quantities are limited each month, so if there are any remaining they will be offered to the general public on the 15th of each month. Here’s a few pictures explaining the club and showing you what was offered with the Jan and Feb club. There are still a few left if you’re interested, just click on the photo. 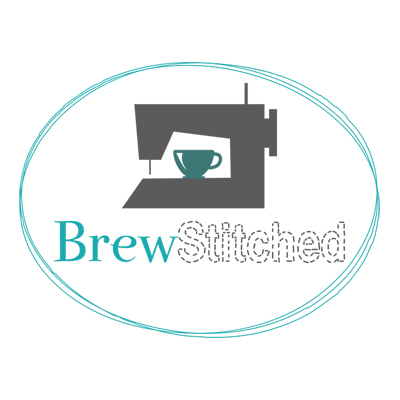 Categories: BrewStitched Store | Permalink. Life’s been busy, getting ready to launch some new products in January. In the meantime take a look at the shop. All in stock fabric by the yard is on sale!!! Little Princess Quilt available now in my Etsy shop! Take a look at this adorable little quilt! I’m calling it the Little Princess Quilt. 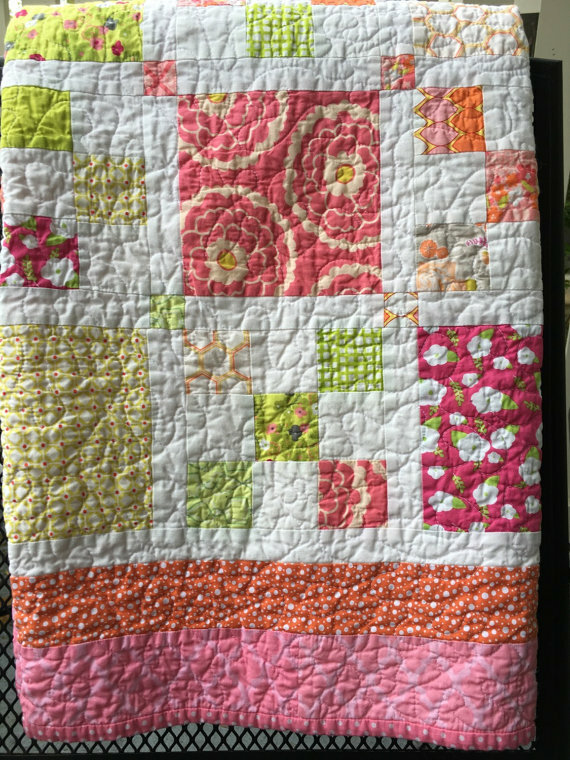 I just love the combination of pinks, oranges, and greens to bring out the girlyness of this quilt. Handmade and quilted by me and now available in the shop! Categories: BrewStitched Store, Quilting | Tags: baby girl quilt, baby quilt, handmade quilt | Permalink. I love Cotton+Steel fabric! They are such creative designers and fabric is just yummy! Take a look at some of the great fabrics now in the shop! Just click on your favorite fabric and it will take you right to my Etsy shop. Categories: BrewStitched Store, Quilting | Permalink. Pretty excited about my first quilting community event! 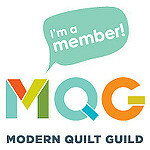 Being held in Seattle and open to any Modern Quilt Guild member. There will be lots of swag and fun people to meet. BIG Sew In on Saturday!!! Categories: Quilting | Tags: MQG | Permalink.